I find that many people have anxiety about approaching retirement. This can be eliminated by creating a financial plan with a financial planner to see where you really stand. Maybe you have more than enough income to last for your lifetime or maybe you will have a shortfall and if that’s the case you need to know that now so you can start power saving. With a retirement plan you can project how much you can safely withdraw out of your retirement assets every year, how much you can plan on from social security, and incorporate your pension benefits. So how do you go about choosing a financial planner? 1. Choose a Certified Financial Planner (CFP ®). Most people think all financial planners are certified, but this isn’t true. While anyone can claim to be a financial planner, only those who have fulfilled the certification and renewal requirements of the CFP Board can display the CFP® certification marks, which represent a high level of competency, ethics and professionalism. The CFP Board’s Standards of Professional Conduct require CFP® professionals to look out for your interests above their own. 3. Understand how the advisor is paid. Some charge a flat fee for financial planning. Some are fee-based, assessing fees based on a percentage of your portfolio value (Assets Under Management or AUM). Others are commissioned-based and paid per transaction. 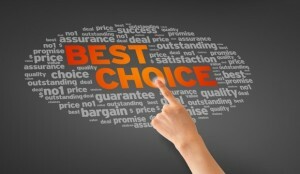 The best option for you depends on how often you plan to place trades and if you want your money pro-actively managed. 4. And lastly, choose a financial planner who won’t be retiring at the same time as you. A younger professional will actively monitor your assets long after you retire and will proactively seek continuing education to stay on top of the latest opportunities in the market. To learn more about Deanna LaRue, view her Paladin Registry profile.